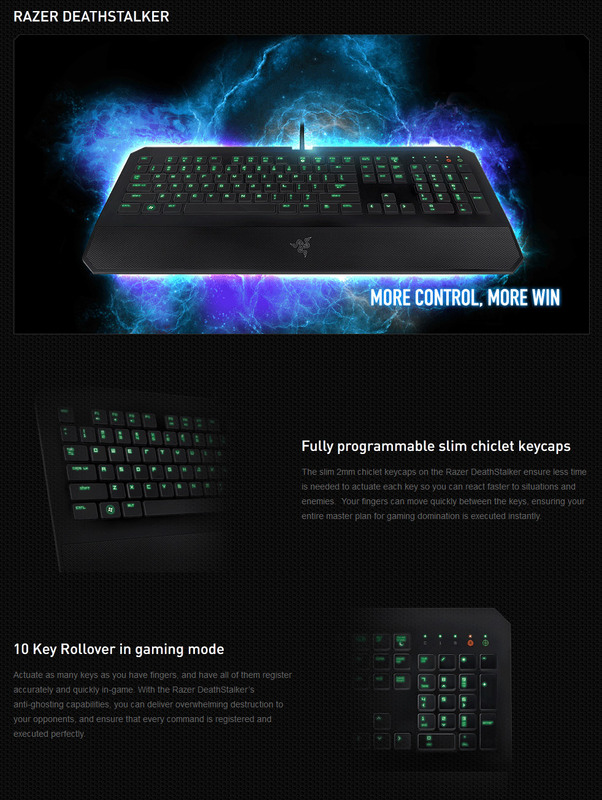 The slim 2mm chiclet keycaps on the Razer DeathStalker ensure less time is needed to actuate each key so you can react faster to situations and enemies. 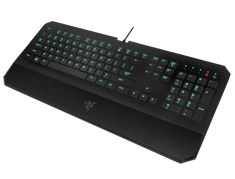 10 key rollover, actuate as many keys as you have fingers, and have all of them register accurately and quickly in-game. 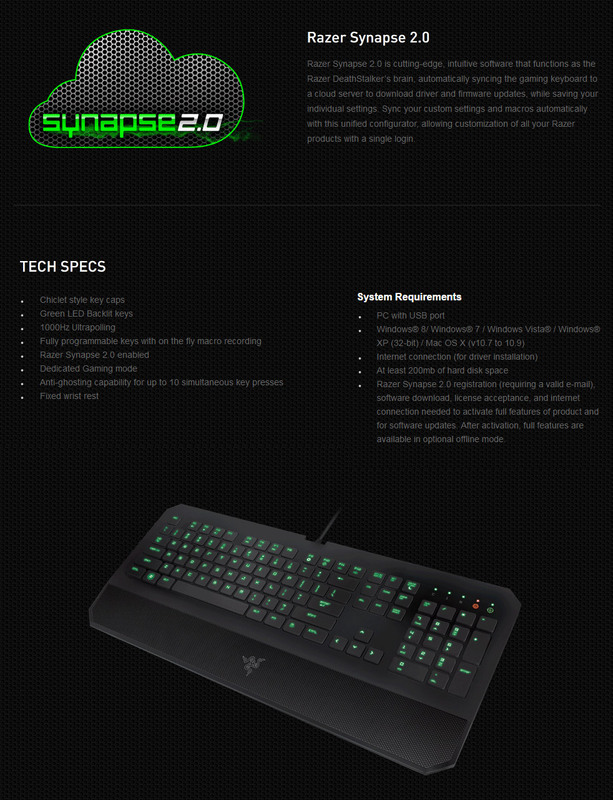 Razer Synapse 2.0, sync your custom settings and macros automatically with this unified configurator, allowing customization of all your Razer products with a single login.